The “happy customer photo” is the best way to advertise your dealership. Maybe you already knew this, and you may now be using customer photos and testimonials of new car buyers as part of your marketing plan. If you are, rest assured knowing those smiling faces next to their new vehicles are bringing in new business, getting you in front of more potential customers’ eyes, and generally increasing the warm fuzzy feelings about your dealership. But what happens after your beaming customers drive off the lot? Chances are, everyone who purchases a car from you will be back for a much-less-fun transaction in the future: a service visit. To begin, let’s run the numbers. According to Edmunds.com, the new vehicle department of a car dealership only brings in about 30% of its revenue. The other 70% come from a combination of F&I, used car sales, and the service bay, with 44% of the gross profits coming directly from maintenance and repair services performed. The bottom line is that if yours is a typical dealership, you’re making far more of your profits in your service department than you are on the sales floor, and it’s time to increase your service repair orders to increase your profit. But how? Marketing your service can be more difficult than marketing new car sales, due to the nature of service visits. Customers usually only come to your service department if something is wrong, they usually perceive service to be expensive, and it can be a long wait to get their vehicle fixed. Because of these generally negative connotations of service visits by customers, most dealerships gloss over their service bay in favor of the shiny new vehicles out front in their advertising and marketing. So, let’s revisit the numbers. A car sale is a one-time occurrence. 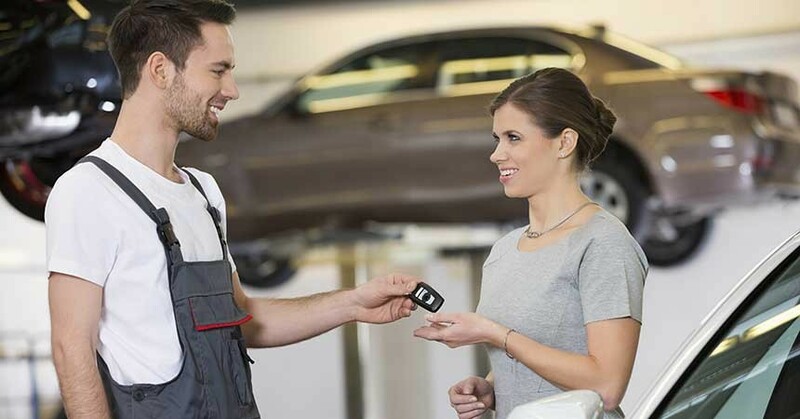 Yes, it is likely that a happy customer will return when it’s time to purchase a new car, but that is usually years down the road. Oil changes, tire rotations, and other routine service take place multiple times a year, however. And more visits equal more opportunities for revenue. Finding a way to market your service department as well as you do your inventory will make your revenue skyrocket. Remember how a happy customer photo is the best way to market your business? The same rule applies for service. Take photos of your smiling customers. Get feedback on their visit. Leverage this as content for your social pages. Seeing a happy service customer on your pages will really get your audience’s attention. They’ll be even more inclined to give you their business because if you made someone happy in service, what can’t you do? Happy customers automatically establish trust and rapport with your audience, especially when the customer was in a service situation that could have gone sour. 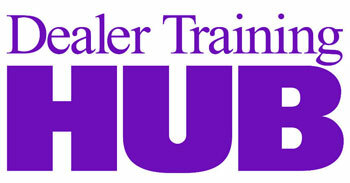 These satisfied service customers are invaluable in bringing more service revenue to your dealership. Written testimonials and happy customer photos are invaluable marketing tools for your service department. And if you’re also able to get a star rating, that’s icing on the cake. If you want to take your service marketing to the next level, invest some time in going visual. Photo content receives an 87% interaction rate from fans on social media, but no other type of content tops 4%, according to Social Media Examiner. But be sure to mind the legal ramifications—you’ll need written permission from your customers to use their likenesses and their comments. A third-party, business-to-business photo-sharing app makes the process simple, from snapping the photo to receiving the testimonial to storing the legal permissions. Have your service techs download the app on their phones to take pictures with loyal service customers, and share their glowing praise on your advertising channels. Gaining happy customer traction in your service department isn’t difficult, but it does require the right tools, a willingness to ask for feedback, and for your techs to remember to interact with their customers. By adding a marketing focus to your service department, not only do you increase visibility of your biggest moneymaker, you show your online audience that the happy experience at your dealership doesn’t stop after purchasing a vehicle. Hannah Whitten is a marketing coordinator at GoFanbase, where she works closely with automotive clients to manage their online presence and increase brand visibility through social media. Reach her at hwhitten@gofanbase.com.